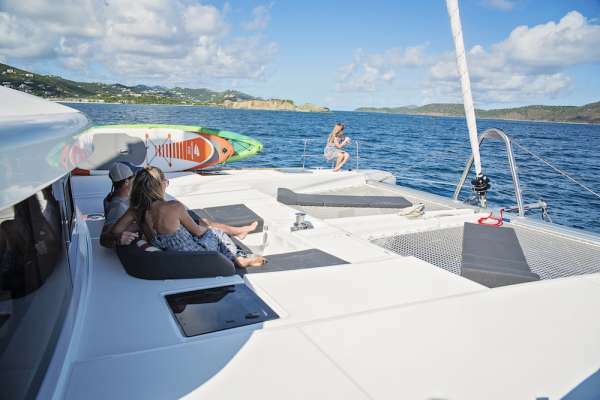 Catamaran Island Hoppin' is a 2018, 52' Lagoon catamaran offering crewed yacht charters in the BVI & USVI. 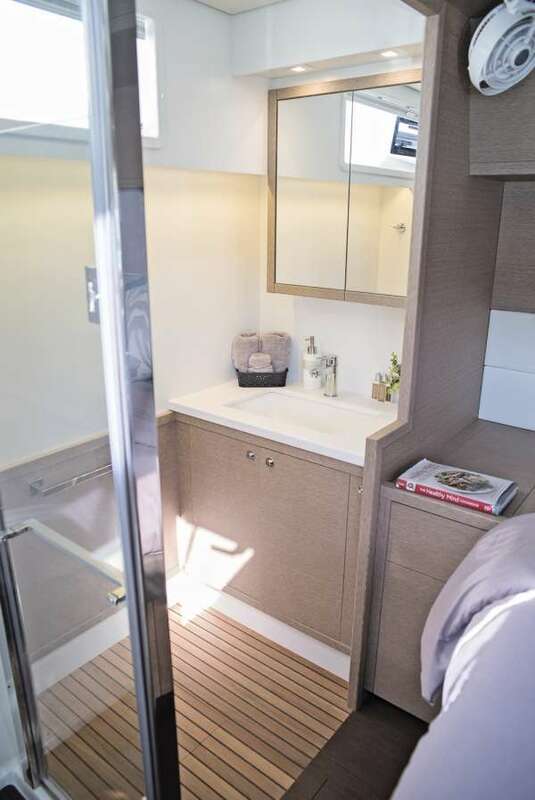 She features a fly-bridge deck, an award winning crew, on-board Dive Instructor, and accommodations for up to 8 guests in 1 Master Queen Suite plus 3 Queen cabins. 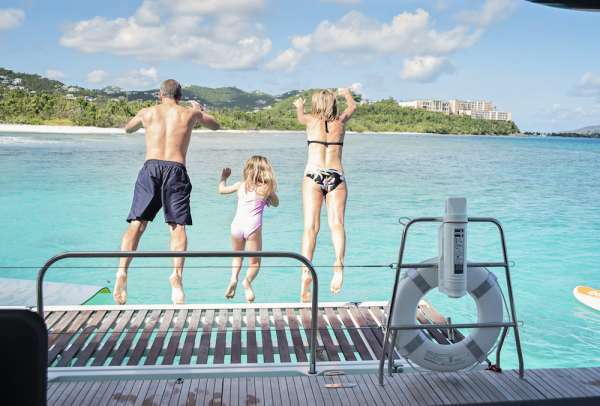 Catamaran Island Hoppin’ is a Carefree Yacht Charters affordable pick for families, couples, divers, foodies, or special occasions. 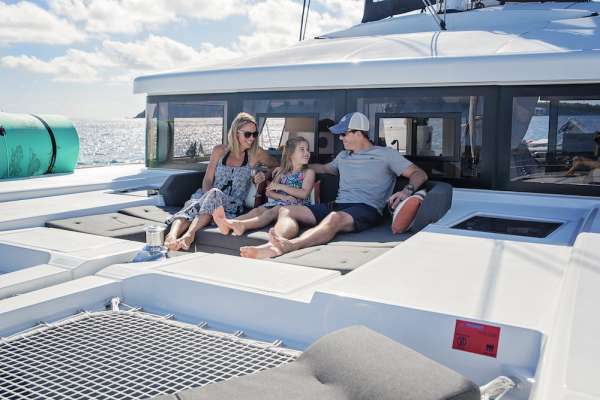 Here's what Jamie & Susannah told Carefree Yacht Charters about their fun factor: "Well to start with we have "funny" accents so we've been told by our guests! Jamie and I are very active and always up for a laugh so if they want island tour guides, people to swim/dive with, or go ashore and party (within reason of course!) we do it all. We enjoy pulling out the island hoppin' shot ski for the guests and we also now have a disco ball, we are always ready for a good time! Whilst we pride ourselves on being professional we aren't afraid to laugh at ourselves too - if you can't laugh at yourself, who can you laugh at? 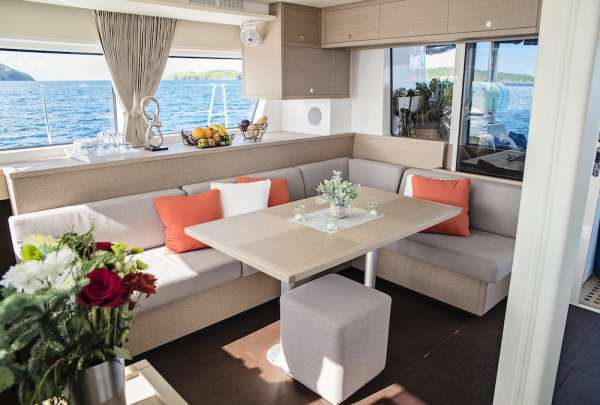 :)"
Noteworthy Details: Island Hoppin' and her crew of Jamie & Susannah won "Best Yacht 52' or Under" plus "Best Captain Morgan Cocktail" at the November, 2018 crewed charter yacht show in St. Thomas, USVI. At the 2017 St. Thomas show they also won "Runner Up for Best Yacht Over 51 Feet" plus "Best Themed Yacht" for the Roaring Twenties Yacht Hop. Rates from $18,000 to $26,500. View availability, rate details and current Special Offer. To learn more about this crew or for further details about ISLAND HOPPIN', call us in our South Florida office at (954) 980-9281, toll free at (888) 670-6884 or fill out our Quick Request Form. Jamie and Susannah are a team forged through their shared passion for the environment, adventure and a love for life, both travelling the world their paths crossed in the Caribbean and they have been inseparable ever since. As a couple, they set their sights on the charter industry from the word go and their accomplishments are a testament to their abilities. Their unmistakable passion for what they do creates an unforgettable experience where an atmosphere of safety and professionalism allows their guests to immerse themselves in the care free and fun loving Caribbean vibe they themselves fell in love with. 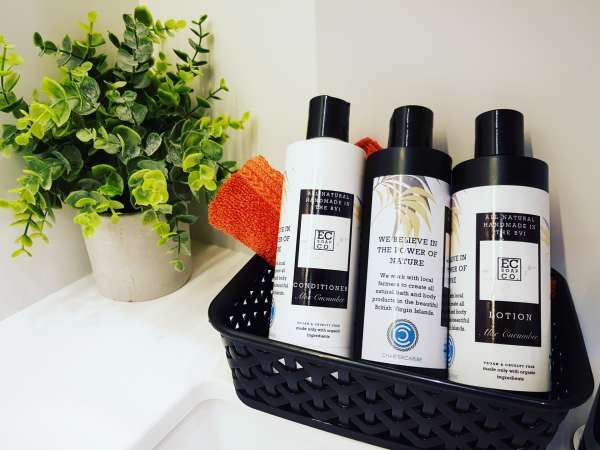 They thrive on creating an environment where no task seems to be a chore, no effort to great in the search of creating the perfect experience for their guests. Captain Jamie grew up on the shores of South Africa. His parents being avid SCUBA divers, he was taught from an early age to understand the ocean and all that goes on above and below its surface, to protect it, to love it and most of all, to respect it. Growing up the Indian Ocean was his natural playground and at a young age he was already an accomplished surfer, free diver and spearfisherman he became a qualified SCUBA diver at the age of 12 and spent much of his free time in his early teens racing 30ft monohulls up and down the coast. The ocean became a way of life and from a young age Jamie knew the sea would forever be his home. 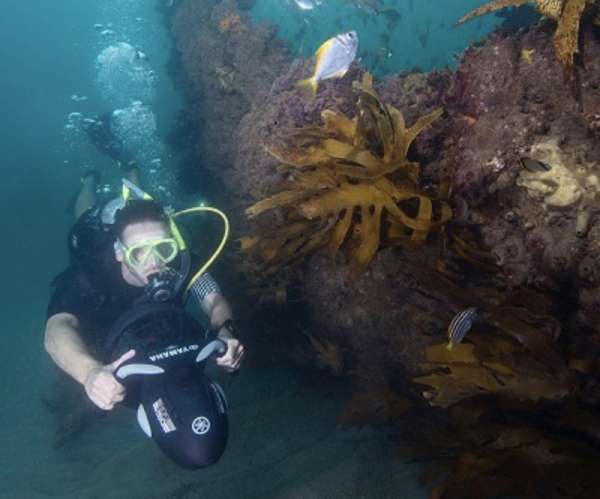 He began his professional life as a SCUBA instructor at the age of 18, working for a company specializing in the conservation and research of aquatic life. He then used his natural affinity to share his love and knowledge of the underwater world to travel the eastern coast of Africa from the vast shores of south Africa, up through Mozambique, into Tanzania and Zanzibar. All the while honing his skills captaining dive boats and sailing yachts in some of the most challenging environments on earth. 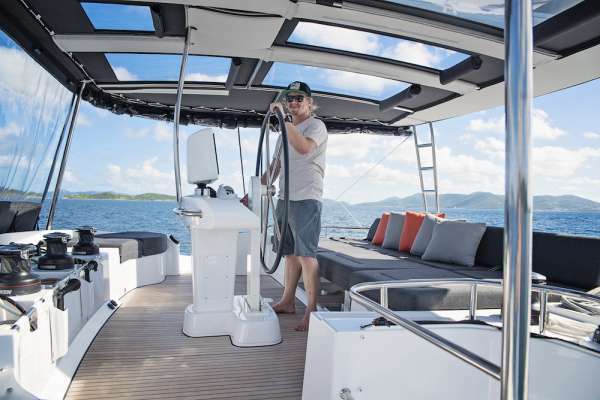 His adventures ultimately landed him in the British Virgin Islands in 2013, working initially for shore based companies he ran SCUBA diving excursions throughout the BVI as well as working for a commercial diving operation specializing in yacht maintenance, repair and salvage. No longer able to be confined to land he joined a dive liveaboard as a dive instructor but his knowledge and natural ability saw him promoted through the ranks of engineer and up to Captain of the 105ft vessel all in the space of a year. 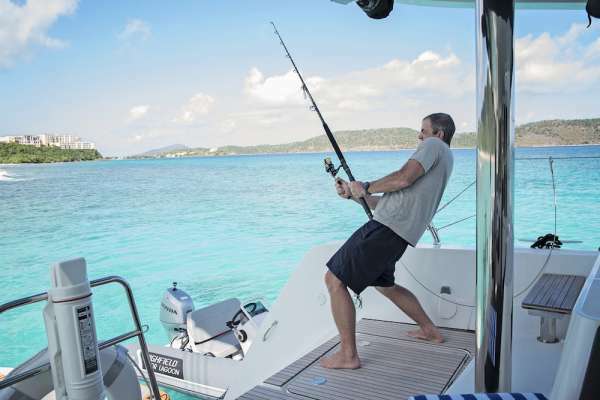 Mentored by a true legend in the BVI charter industry Jamie was gifted with knowledge of the area that took his employer forty years to accumulate, combined with years of experience in the area, you can safely say Jamie is an expert on the area and can truly show you “Natures Little Secrets”. Chef Susannah hails from Northern Ireland but is no stranger to the water, with her family being very active members of the Royal Yacht Club, she was taught to sail on Lasers from a young age in waters where the consequences of a mistake could mean a dunk in the Atlantics dangerously could waters. She was also taught to handle the large rescue Ribs and was present on many safety and rescue operations coordinated by her father. Her thirst for adventure soon had her travelling the world, visiting countries such as Australia, New Zealand, Fiji, Thailand, Vietnam and the list goes on. 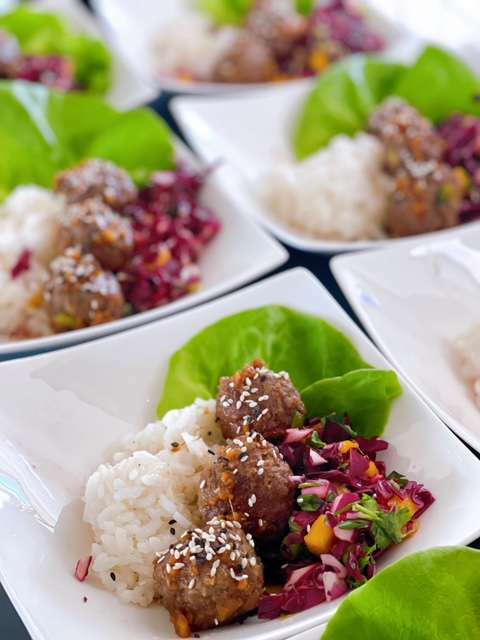 Her travels and her outgoing nature has allowed her to immerse herself in a variety of cultures which ignited her passion for people and of course food. Drawn to the water she was soon a qualified diver and keen surfer. 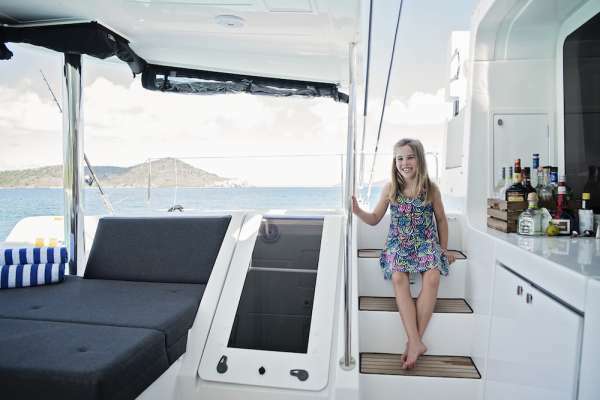 Her travels brought her to the BVI in 2015 and she fell in love with the Caribbean way of life. 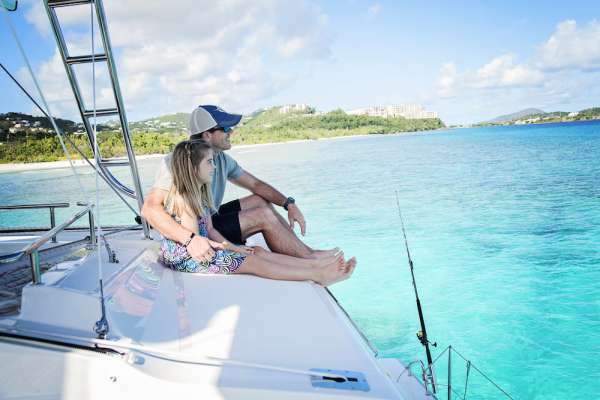 The beauty of the Virgin Islands combined with the endless possibilities for adventure and exploration both above and below the water meant she knew she had found a place she could call home. After many months working as a stewardess Susannah found the galley calling her name and so her professional culinary journey began. Not one to do things halfheartedly Susannah went on to complete not one but two professional chef courses. 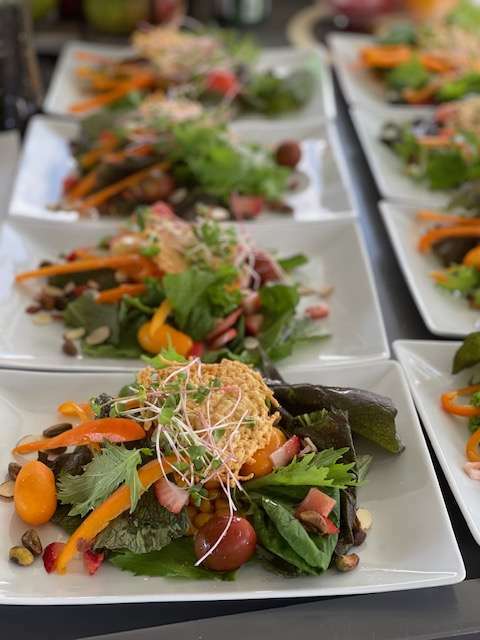 Under the guidance of many excellent teachers at Ashburtons Chef Academy (Devon, England) she completed the level 2 course in culinary skills and food safety in catering. Just a few months later motivated and ready to learn more she attended the prestigious Ballymaloe cookery school (Co.Cork Ireland) and graduated from their intensive 3 month course. 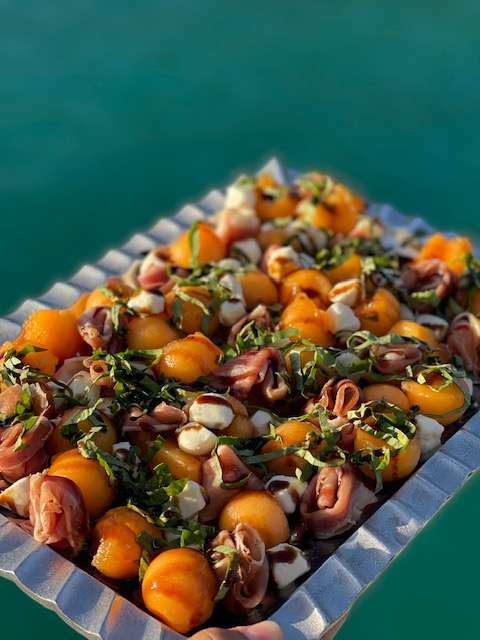 Susannah’s cooking reflects seasonal local produce and contemporary plating whilst always considering guests preferences. 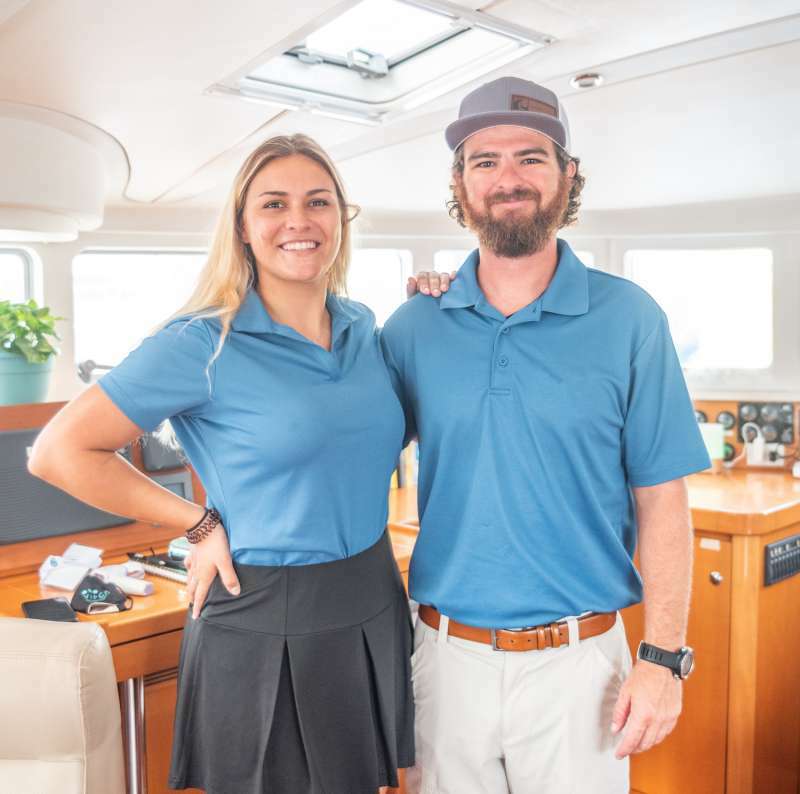 Having sailed over two thousand miles together, in the last two years, throughout the Caribbean, Jamie and Susannah are excited to embark on their next adventure, Island Hoppin’. 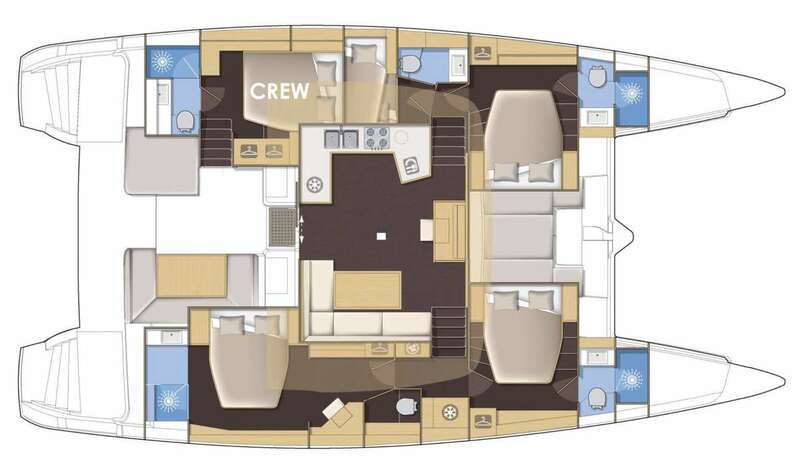 Trading bigger yachts and larger numbers for the luxury, comfort and performance of a new Lagoon 52. 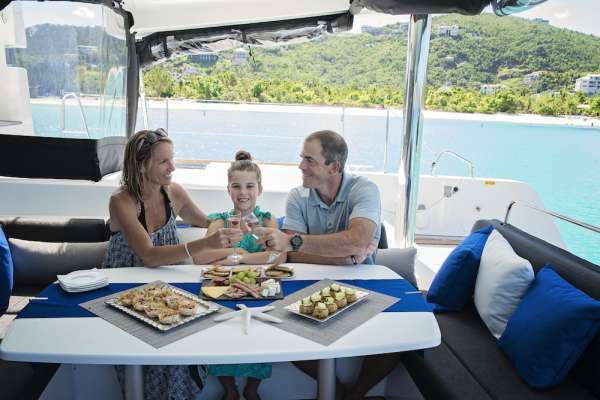 They cannot wait to show their guests the beauty of the Virgin Islands and share their love for the water and all the amazing activities available. Why not come Island Hoppin’ with a crew that’s made for it and a vessel named for it! Lynne, Let me describe our charter on the Island Hopopin in one word: "UNBELIEVABLE". This was our first catamaran charter, but I can definitely say it won't be our last. Captain Jamie and Chef/First Mate Susannah were added benefits and were on top of their game the entire time. Not only was Jamie a first rate captain, he was also a great mixologist and some of his drinks were better than the famous Soggy Dollar Bar and Willie T's. Susannah's meals were a owrk of art, delicious, presented beautifully and at dinner, deserts topped off the evening. The Island Hoppin was in tip top shape and was meticulously maintained. 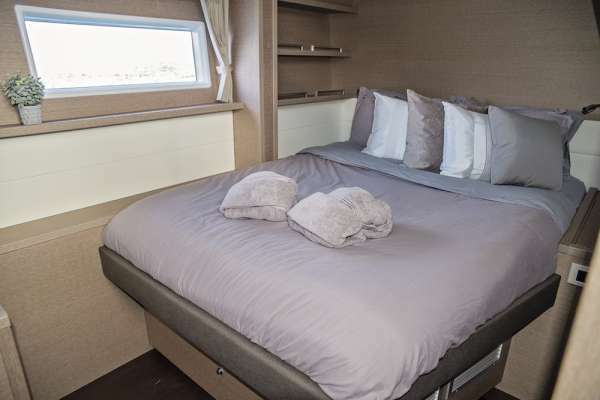 The cabins had adequate space and with very comfortable beds. As far as trip itinerary, every evening or morning, Jamie would present us a couple of options for the next day/morning and the group decided on the plan. From then on, it was nothing but smooth sailing. We look forward to our next charter. Lynne, thank you for your help and guidance and we will contact you again when we plan our next charter. Lynne, first of all, a summary of who we are: There were three generations totaling 18 people ranging in age from 5 to 77. The occasion was a family trip to celebrate grandma and grandpa's 50th wedding anniversary. We have chartered sail boats in the Caribbean over a dozen times and three of those were with two generations, including some cousins. All three of our sons and four of our grandsons like to fish, no matter where they are. 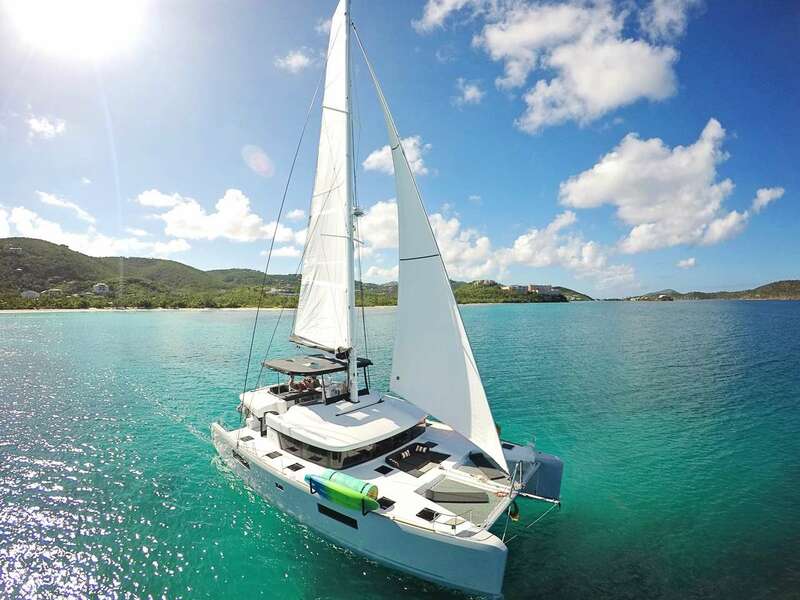 Our general conclusion is that this week long experience on two catamarans could not have been better! The two crews easily met all of our preferences for sailing, family activities, food, and overall provided a fun experience for everyone. 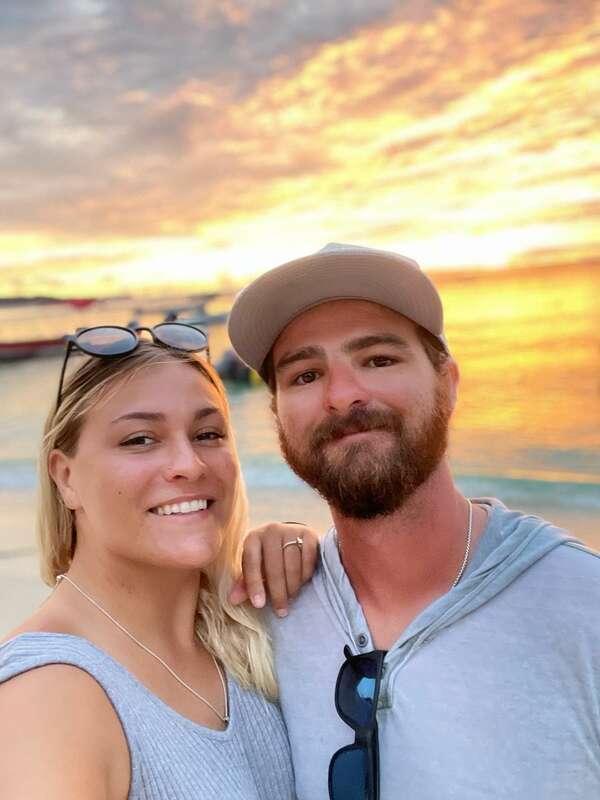 Regarding your services, you confirmed our initial impression of the Island Hoppin' crew (Jamie and Sue), and then suggested an equally good crew/boat for the tandem charter (Tyler and Kelsey). You also stayed in frequent communication and made sure all the details were covered and that the contracting and payment process was timely. Thank you. The two yachts were well equipped, laid out so that everyone could easily and safely move around, which provided both a comfortable and safe sailing adventure for all. The two crews fulfilled all of our expectations and specific preferences and did so with a very positive spirit and hospitality. We especially wanted to experience sailing daily, weather permitting, and this was done. The food was excellent. 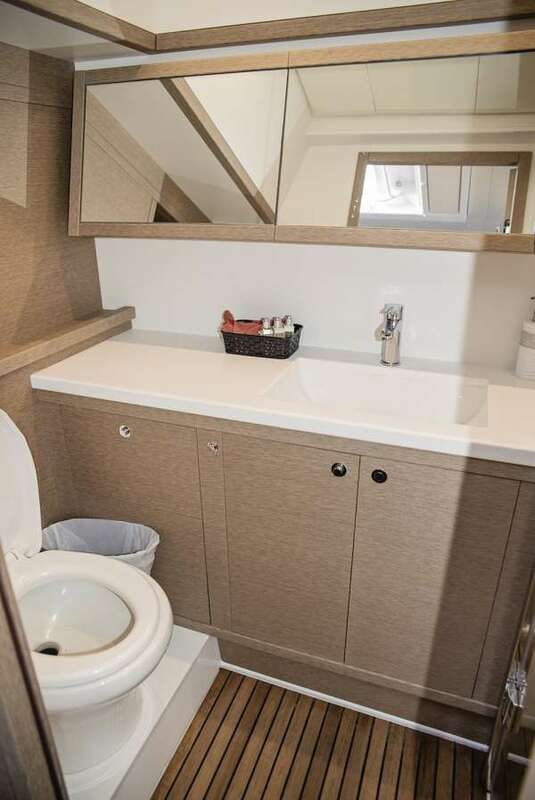 We had a couple of food allergies in our group and it was apparent from the first few minutes on board that this was handled appropriately and would not be a problem. 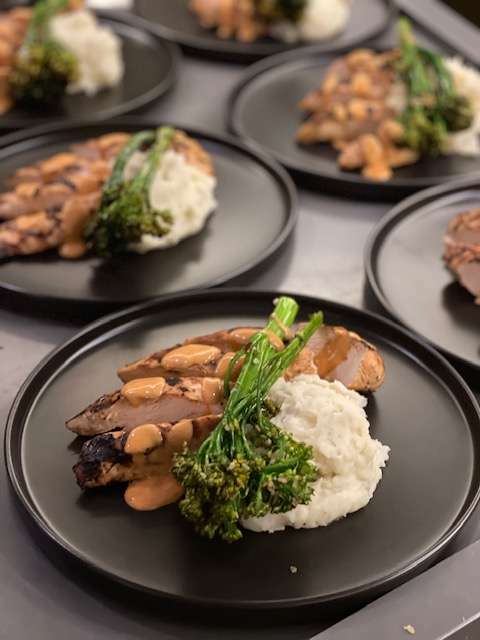 The meals, appetizers, snacks and anything to do with food and drink were responsive to our preferences, well prepared and presented, and always added to the experience. Overall, several adults observed that, "it could not have been better!" We agree. I will gladly pass along a review from my husband Ken who after 32 years knows he better write something for me when I ask. From the first day we walked on board, Jamie and Susannah made us feel welcome from the start, like we knew them already. 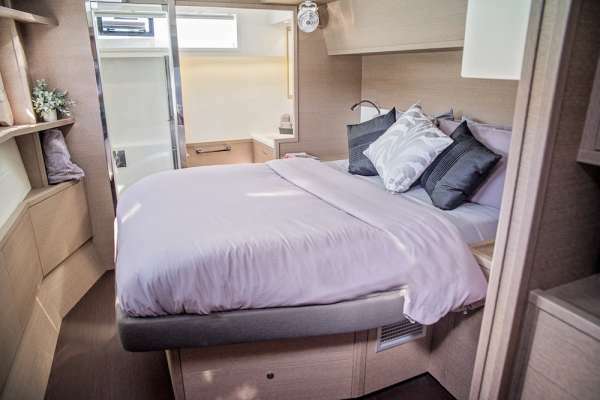 The Island Hoppin was new and state of the art...incredibly roomy and comfortable. Jamie and Susannah always had a plan for every day. We picked popular places to visit as well as harbors where we were the only boat in site. Jamie arranged for us to rent "Mokes" on Anegada and helped us to lay out a plan for a day of snorkeling at different locations throughout the day. One highlight (among many) was a delicious arranged dinner of grilled lobster that was the best we had ever tasted. There were too many water toys to count and Jamie was always volunteering to put them out despite the effort it took to put them in and take them out of the water. Susannah was an outstanding cook from scallops to crusted pork to lemon ricotta pancakes to turkey dinner sandwiches, we ate like kings and never left a crumb on our plates. 5 star treatment and a definite thumbs up! We'll be back. And this is a long review from my new son in law Zach who at least answered me incredibly fast. I have zero complaints - nothing could be improved. And this is a review from my favorite middle daughter Paige and the only daughter who remains in our will. - each meal was uniquely different and spectacular individually. We had a hard time picking which one we liked best. She really kept in mind our days activities, planning each meal accordingly by time and also protein and healthiness level. We felt energized and delighted by each meal. - Jamie did not hesitate to put out every single beach toy even if we only used it for a little bit. He was a trooper about the hot dog as well. We thought we could be a pain but he laughed along with us when we all fell in the water. - We had a plan in mind when we first came to the boat, but Jamie sat us down and went through each day with us. It wasn't a strict plan, it allowed for some flexibility, but it was a plan nonetheless that we were thrilled about. He went above and beyond to offer us every single experience the BVI could offer without us feeling overwhelmed with getting to a certain area on time. - The crews attitude was spectacular. Even when it poured, the winds changed, they lost a hat, or potentially a paddle board, they stayed positive the entire time. They laughed about everything and were never stressed or angry. The mood on the boat was constantly relaxing and positive. All kidding aside, this trip was the best vacation I've ever had with my family. We have grown children living all over the US and never get to spend enough time with them. This trip gave me the luxury of all of us being together under one roof while being completely pampered and spoiled by the beautiful boat, the scenery, and Jamie and Susannah. This crew and this boat were special in so many ways. Jamie and Susannah are incredibly talented and mature way beyond their years. Jamie is without a doubt a very skilled captain and even when the winds kicked up and a major storm passed, he handled the boat with such confidence that we could relax and enjoy the adventure. Susannah pampered us with so many fabulous meals that we called ourselves the "clean plate club" and we argued over which dishes were the best. The boat is gorgeous and we used every space and especially loved being on the top of the boat and watching the islands go by as we sailed. One of the best things about the trip was the call the crew made to me ahead of time. We were able to discuss our needs and hopes for the week. When we arrived, Jamie and Susannah took everything we talked about and made it even better! They took the time to arrange a few excursions in advance and we loved everything that was planned. Because of this, I could immediately relax and know I was in great hands! Each day we discussed the itinerary and any changes we would like to make. There was the right amount of planning and flexibility that led to the absolute perfect trip. And thank you Lynne, for being so incredibly organized. We feel we could not be in better hands. You took great care of us from the beginning to end. You rock. Best regards and we hope to do this again soon!